The lovely looking Sonnen Battery. Don’t ever put one in your living room. That would be silly. Sonnen is a German company who have been making home batteries longer than Tesla. They were originally known as sonnenBatterie but shortened their name and called their battery system that. Its full name in Australia is the sonnenBatterie eco. Their system is 100% made in Germany using 100% made in Japan batteries and their inverters appear to be 100% made in either Spain or Bulgaria. All other components are 100% made in whatever countries they were made in. It is a modular, lithium iron1 phosphate system that uses 2 kilowatt-hour battery packs that slot in to provide from 2 to 16 kilowatt-hours of energy storage. Its continuous power output varies with the number of modules and ranges from 1.5 to 3 kilowatts for single phase systems or 1.5 to 3.3 kilowatts for three phase. Systems with 4 or more kilowatt-hours of storage are roughly the size of a refrigerator, but not as deep. The sonnenBatterie requires indoor installation and is not suited for off-grid use. Sonnen says they will make a back up module available from the middle of next year that will give it the ability to provide power during a blackout. How much this feature will cost has not been announced. Its warranty is one of the best available for a lithium-ion battery system. It lasts for the first of 10 years or 10,000 cycles. For the warranty to end within 10 years it would have to be cycled more than 2.7 times a day. The sonnenBattery eco is not cheap. The retail cost of a 2 kilowatt-hour unit may be around $6,000 and the cost of each additional 2 kilowatt-hours of battery storage are likely to be around $2,900. A 6 kilowatt-hour system could cost a household around $11,800. That includes GST but not installation. The good news is it is an all in one system and can be installed without the need to purchase additional equipment, so its expense compared to other systems may not be as great as it seems. In addition to grabbing stuff off the internet, I also talked to a representative of Sonnen at the All Energy Conference in Melbourne earlier this month to get some juicy details on the system. I’ve forgotten his name, so I’m just going to call him Bob. Bob told me Sonnen had been making battery systems for around 8 years. But oddly enough, the internet tells me they were founded in 2010, which means they could only have been making battery systems for around 6 years. But that’s okay. We all slip up and make little mistakes like this every now and then. Bob also told me Sonnen was the first company in the world to develop domestic storage products. Because the word domestic more or less means house and because off-grid houses have been around since before 2010, I don’t think that’s actually correct. But I knew he meant on-grid storage. Given the context it was a perfectly cromulent thing to say. And they did beat Tesla to home battery storage. Then Bob told me Sonnen has sold over 20,000 systems and 13,000 of them were in Germany alone. But that’s probably not correct. On the Sonnen website it says they only manged to ship 10,000 by the middle of February this year. They also say they shipped 2,600 units in the second quarter of this year and less than half that in the first. So unless sales were absolutely gangbusters over the third quarter it seems unlikely they could have sold over 6,100 systems to hit the 20,000 figure by early this month. You know, I’m starting to think there’s a pattern emerging with regard to Bob’s communication. The sonnenBatterie is made for indoor installation. An outdoor enclosure will be available in the future, but Bob told me an indoor location is preferable, as it will protect the system from extremes of heat and cold and extend the life of the batteries. On the datasheet I have it says its ambient temperature range is 5 to 40 degrees Celsius. This refers to the local air temperature. I checked the maximum temperature with Bob and he confirmed it was 40 degrees. Interestingly, the sonnenBatterie systems sold in the United states have operating temperature from 5 to 35 degrees Celsius. I presume Sonnen bumped up the operating temperature to cope with Australian conditions. The SonnenBatterie is heavy compared to other lithium-ion systems. They start at 53kg for a 2 kilowatt-hour system and 4 kilowatt-hours weighs 93kg. Every additional two kilowatt-hours after that adds 27kg. This means, per usable kilowatt-hour, a 6 kilowatt-hour sonnenBatterie is considerably heavier than the original Tesla Powerwall and more than twice as heavy as an LG Chem RESU6.5. All units have the same width of 64cm and depth of 22cm, but their heights range from 70cm to 184cm depending on their capacity. So the smallest 2 kilowatt-hour system is 11cm less high than the average door is wide and is as wide as the average door is wide if it was 17cm less wide. And it is not quite as deep as Ren and Stimpy. It is possible to hang it on a wall. You probably don’t want to hang the larger units on a wall as they can quite literally weigh a quarter of a tonne. If 16 kilowatt-hours is not enough it is possible to connect up to three units to provide 48 kilowatt-hours of storage. Update (8 Nov): Sonnen has informed me there is no limit to the number of units that can be installed, so more than three is fine. 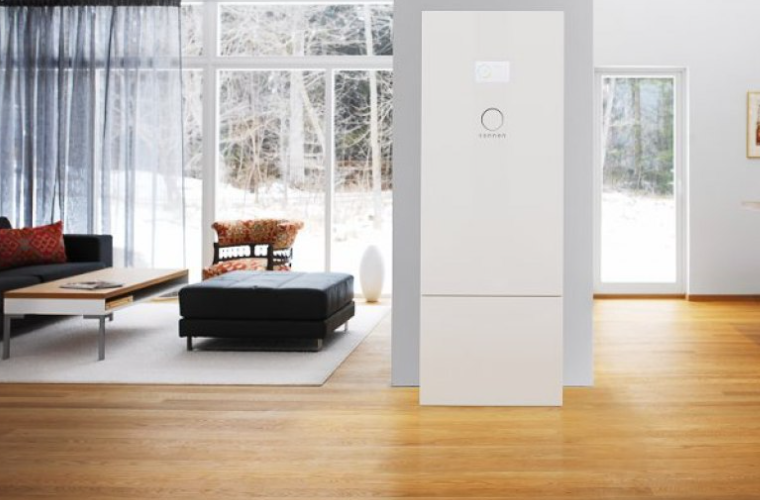 Sonnen is planning to make a back up module available from the middle of next year that will enable the sonnenBatterie to provide power during a blackout. While no price has been given, I assume it will be a significant extra expense. Bob said it won’t function as an uninterruptible power source and will need about 2 seconds to activate during a grid failure. The batteries in the SonnenBattery are lithium iron phosphate and made by Sony in Japan. This gives them a considerably higher cycle life than other lithium-ion chemistries and they are very resistant to thermal runaway. This is a technical term battery manufacturers use instead of, “Crikey! It’s on fire!” But note that if you expose it to sufficient fire, it will catch on fire, so don’t do that. The durability of lithium iron2 phosphate batteries, as well as careful management, gives it an impressive warranty of 10 years or 10,000 cycles, whichever comes first. This is obviously a useful warranty if you have an application that requires cycling it multiple times a day. After hearing this, my guess was they hadn’t actually discovered a method of holding entropy in abeyance for a decade. Instead, I assumed that since Sony makes 1.2 kilowatt-hour lithium iron phosphate batteries, every 2 kilowatt-hours of usable storage in a sonnenBatterie was actually a total of 2.4 kilowatt-hours of batteries and they would degrade, but by less than the 17% that would be required to get them below 2 kilowatt-hours of usable storage by the time the warranty was over. And while not quite as impressive as defeating entropy, it is still an impressive result considering those batteries may have been cycled 10,000 times by that point. For some reason, no doubt due to my innate lack of faith in humanity, I felt the need to check the sonnenBatterie warranty online. Unfortunately, Sonnen’s Australian site has no link to a warranty. That is a bit of an oversight. Only idiots would buy a battery system without being able to read the warranty first and appealing to the idiot market probably isn’t something you want to do3. You’ll get people keeping beer inside the battery case because it looks like a fridge and sooner or later there is going to be a horrible accident. But Sonnen did have warranties on their German and American sites and both case the warranty definitely allows for degradation. In Germany the warranty applies if the battery declines below 80% of capacity and in the US it applies if it falls below 70%. I suppose it is possible that Sonnen is sending us the good stuff, keeping mediocre systems in Germany, and sending crap ones to the US, but that seems unlikely to me. Because conditions here are more extreme than in Germany I would expect the warranty to only apply if the capacity falls below 70%, as in the US. Update (Nov 8): Sonnen has made the warranty for the sonnenBatterie available on its Australian site and it can be downloaded here. It confirms that its warranty is for 10 years or 10,000 full cycles, which ever comes first. It does not give a set figure for the amount of battery capacity loss, but states it does not cover, “normal wear and tear”. Update (Nov 8): Sonnen has made the warranty available on its Australian site and it states it does not cover any sonnenBatterie that is not connected to the internet. Bob showed me the fancy little app on his phone that let him control the sonnenBattery he had installed at home. I was quite simply amazed. Did you know that phones can have moving pictures on them these days? The Sonnen battery acts intelligently to minimize grid electricity use, taking into account weather, what it has learned about your electricity consumption habits, and electricity prices if you are on a time-of-use tariff. In the process of showing me his app, Bob mentioned he cycled his battery an average of 1.8 times a day. That is a lot. Anyone who cycles their battery that much probably hasn’t installed a large enough solar power system. I asked Bob about this and it turned out he only had a 3 kilowatt rooftop system. That is crazy small for someone with enough money to buy batteries. In far too many places in Australia, restrictions on rooftop solar make it difficult to install more than 5 kilowatts. But if you are going to buy batteries you really need to go as large as you reasonably can. This is because the solar power system is the cost effective part of the setup, while the batteries are the expensive part that costs you money instead of saving it. The larger your rooftop solar system, the less likely you are to dip into your battery storage during the day. This reduces the amount you cycle them and makes your expensive batteries last longer. You’ll also be exporting more clean electricity which, unlike batteries at this point, will help the environment. Some sonnenBatteries are being sold as part of package deals that include rooftop solar installation. And that is all fine and dandy. But it is important not to be misled by salespeople who use the cost effectiveness of rooftop solar to disguise the fact that battery storage at the moment will only cost you money. Bob gave me a wholesale price that, after being adjusted for retailer margin and GST, may come to roughly $6,000 for a two kilowatt-hour unit and around $2,900 for each additional 2 kilowatt-hours of storage. This means a 6 kilowatt-hour system would cost around $11,800. Fortunately, it is ready to be installed without any additional equipment and so the installation cost should be low. I have written about many different battery systems and not yet have I had the pleasure of being able to say, “Yes! These batteries will pay for themselves! Go get some!”4 And this isn’t that time either. I won’t go into the reasons why they don’t pay for themselves yet, but you are interested in the details you can read another article I wrote. The explanation I give towards the end is still valid. The sonnenBatterie’s 10 year or 10,000 cycle warranty makes it appear to be a reliable system, but without access to its warranty document I can’t accurately compare it to other systems. I have sent an email to Sonnen asking them to clear up some details and if they get back to me I will update the information in this article. Next Article: Is Tesla’s Solar Roof Fair Dinkum? Thanks Ronald for the article, you seem very skeptical in your articles however you provide only skepticism and comment from a small amount of data you can obtain on a website. It seems you cannot do this very well either e.g. the weight of the sonnen system is nowhere near as heavy as you say it is. It would be great if your articles could include some real data on storage systems installed and working in Australia rather than witty comments about a conversation you may or may not have had with someone that may or may not have been called Bob. Further, your assertion that “you should purchase as much solar as you can” I agree with if you are receiving a Govt. FIT of 60 cents, but without the FIT you are not being efficient with your money, unless you have storage, or staying at home all day with your feet up in the Adelaide Hills with your 2nd bottle of wine writing skeptical, incorrect blogs. Thank you for putting together such an entertaining article on sonnen Australia, it made us all smile a great deal. It’s a bit of a shame that you couldn’t remember my name, shame also that a lot of what I explained you also didn’t remember or read on the data sheet and brochure that you took with you from the exhibition last month, but its looks like you have worked hard on gathering information on sonnen from around the globe, another shame that you have grouped all of the data together and created a completely unique product specification! Lets start at the beginning, Sonnen is called sonnen, yes we used to be called sonnenBatterie but we do a huge amount more than selling batteries hence the name change to just sonnen. The Australian business funnily enough is also called sonnen… albeit sonnen Australia. 100% manufactured in Germany? Absolutely. Our battery modules are made for us by Sony, they are shipped to Germany where the BMS protocol and firmware is integrated and they are packaged up to go out with the rest of the product. Our single-phase inverters are supplied by Ingetaem, they are also shipped to Germany, modified and integrated into out enclosures… our 3-phase units likewise have the inverters sent to us from Steca, modified and integrated into our enclosures. Final assembly, testing and Q&A processes occur in German so it’s by definition a German manufactured product. We have LiFePO4, also known as Lithium iron Phosphate batteries… you refer to it as lithium-ion and lithium-ion phosphate, you are mixing your technologies, maybe that lithium you have been taking? portfolio but unfortunately in reality they are completely separate. So too are the warranties. I liked your reference to a refrigerator, you must have a really narrow kitchen to house such a shallow fridge of just 22cm deep in your house! Correct our units are IP21 and designed for indoor use, there will be a Hybrid available next year for off-grid, UPS and backup function, we did discuss this at All-Energy, maybe that info is still there along with my name..? sonnen was formed in 2008, after 2 years of R&D and product development the first product was commercially made available in Germany in 2010, apology accepted regarding you little mistake and slip up, these things happen. I’d love you to find a domestic all-in-one solar storage system made commercially available prior to 2010, so please prove me wrong. Data from EuPD just released shows sonnen selling 3,300 units in the first half of 2016 in Germany alone retaining a market share of 27%. A total of 19,000 energy storage systems were sold in Europe as a whole in the first half of 2016, sonnen had 26% of this market, so that’s 4,940 units. Adding that to your figures and allowing for our other global markets, plus considering the fact that sonnen has 23% of all system sales in Europe, the USA and Australia would indicate that my statement regarding systems sold was pretty accurate. Regarding temperature range please let’s stick to the Australian product specification and not the US model, we do have a 5 to 40 degree temperature range. The 2kW unit is 70cm tall, 64cm wide and 22cm deep, it only weighs 53kg so not a huge ordeal to hang it on the wall. With the lower extension housing in place the unit becomes floor mounted and ranges from 93kg for 4kW to 255kg for the full 16kW and the height increases to 184cm, so no need to worry about hanging it on the wall. Love your thoughts about tripling the systems to 48kW, not sure where you got that from, maybe you got distracted.? You can stack as many as you like, both single or 3-phase and in combinations… we do though have a commercial system starting at 24kW growing in 24kW blocks up to 240kW so maybe that’s where the 48kW came from.? Nope I didn’t mention the price of the unit with back-up, considering that why did you say it would be a significant extra expense.? The hybrid unit will act as a UPS, off-grid as well as offer backup functionality. Durability of lithium-ion phosphate batteries… interesting, however we use lithium iron phosphate. And yes, zero degradation, we talk about the amount of energy the modules have been designed to deliver consistently for the 10,000 cycle period,. Over the 20 year design life we expect them to fall to around 80% so still extremely impressive when compared to everything else out there. If you wanted our warranty document all you had to do was ask, maybe as you forgot my name and were too embarrassed to ask for that as well? I have a 6kW sonnen system and a 3kW PV system, averaging 1.8 cycles p/day, with adding my smart load control the system is giving me 12kWh+ p/day of energy savings. Add that on to the self-consumption of my system means that I average a 94% autonomy figure. Yes, I could put more PV on but given that I am only drawing 1.5 to 2kWh p/day from the grid is it worth it?. Your right however that our systems do pay for themselves, our typical ROI is around 8 years which is very healthy. I am glad your overall summing up does verify that our product is of high quality, good reputation a reliable and proven unit that will offer a true benefit to anyone owning one. Your reply was very informative. I’ll be in the market for a battery backup system to go with an upgrade of my little 1.6KW solar setup for my strata unit in 4th QTR 2017 so am following product developments with interest. I’ve now added your product to the watch list along with the Tesla Powerwall 2 (poor degradation) and the Redflow ZBM (expensive and needs regular discharge, but promises very long life. Glad you found my comments informative, look forward to discussing your specific needs as and when your in the market for an energy storage system. Thank you for getting in touch. I’d like to check a few details with you. Can you get me a solid figure for the number of Sonnen battery systems sold? I’ll put it in the article as soon as I get one. Can you confirm that document is wrong and that, as you wrote above, there is no limit? It was an assumption on my part that this meant retrofitting the sonnenBatterie would be a significant additional expense. I apologise for not making it clear this was just my assumption and I have altered to the text to correct that. Can you give an estimate of how much the back up module will cost? Can you confirm whether or not the back up module will function as a Uninterruptible Power System? In the Australian written warranty, how much deterioration of battery capacity is allowed for? Is it 0% so that if after 9 years the sonnenBatterie eco falls to 99% of its original capacity the warranty will apply? Or it is 80% or 70% or a different figure? If you could provide a link to the Australian sonnenBatterie warranty for everyone to read that would be wonderful. I realise you may not be able to answer this question immediately, but will the Australian warranty be made available on the Australian Sonnen website? I am sorry for writing “ion” instead of “iron” not just once, but twice! That was very sloppy of me to let two mistakes like that get through, and I apologise. I made a mistake, so it’s only right I should apologise for it. I hope you can get back to me with answers to these questions. A solid number of units sold is quite tricky as some of the initial generation of products are not logged into the same system as the later generation’s. Also with global supply there can be quite a lag from manufacture to installation etc especially in developing markets such as Australia, the UK and the US. The EuPD data is probably the most accurate for 2016 first half year sales which illustrates just under 5,000 for Europe. By the time we add sales for the rest of the world and all historic sales pre-2016 back to 2010 it will be close to the 20,000 as stated. Yes, at All Energy we were handing out the “sonnenBatterie – It’s time to declare your independence!” brochure. This is a broad reaching document that covers all the products and specifications for regions other than the US, so some of the specs are not market/region specific. Each domestic unit whether single or 3-phase can go up to 16kW capacity, they can be stacked as many as required. Theoretically its unlimited as each unit only references the other via CT monitoring as opposed to a direct coms link, so you do not have the limitation that you would in other products. However, I cannot see many people going above 2 or 3 in a domestic setting, especially single phase as their energy requirements just wouldn’t be that high. In the 3-phase though our commercial products start at 24kW and will go up to 240kW (we are starting off with the 24kW and 48kW units), so again I can’t see why stacking, multiple 3-phase system would happen all that much then. With regards to the backup module at the time of discussing it with you we were planning on having the separate unit (sonnenProtect) as we did with the previous models. However, we have since decided to offer a fully hybrid protect with it all in the box to run alongside the retro-fit AC coupled solution. The hybrid will offer UPS, back-up and off-grid capability. The hybrid versus the standard AC coupled unit will not be a huge a price jump, I don’t have any figure yet but it will be less than the backup module was. No worries about ion versus iron, one small letter can make a big difference to a product! I have just received a quote for installation of one of your systems. You seem to say that the new units have a built in “blackout” protection system. The salesman who gave me the quote wants to charge an extra $1250 for the back up unit. The Hybrid system is planned to have this functionality, our current eco 8.0 series has the backup facility as an option for the single phase products. I hope you feel suitably chastised and embarrassed, very sloppy journalism and lazy research. I will not be looking for any other articles by you, in fact I hope the Peacock Media Group cut you from the list. Don’t bother replying to this, I won’t be reading it. I think you are mistaking the Sonnen product with Sonnenschein batteries. Our system is an all-in-one energy management solution wheras Sonnenschein products individual battery cells. I think I send a message earlier. I just would like to know, if the hybrid system is available now. Still would like to have a statement to the australian standards considerations regarding Lithium ion batteries – or do they not apply to your battery? When the hybrid system is due to be released we will let the market know as we have had a huge amount of interest in them already,m for the time being though the intelligent AC coupled systems both single and three phase are available in Australia. With regards to new installation standards for batteries Standards Australia is still working with stakeholders to develop a new draft Australian Standard AS/NZS 5139, Electrical Installations – Safety of battery systems for use in inverter energy systems that will enable the safe installation of battery energy storage systems. The draft of the standard was to be released this April (although there is no sign of it yet?) for a nine week period for public comment. This will afford Sonnen as well as all stakeholders the opportunity to comment on the proposed standard, so don’t worry I am sure they will receive plenty of comments / statements! Sony also produce home batteries in 2kWh units, assembled from 26650 Foretlion cells. Sonnen are claiming cycle life that exceeds Sony’s by 2:1. Sony’s cell datasheet, does not support Sonnen’s claim. Would you care to share the data, test conditions that apply to the cycle life claims? The battery modules that we use are made for us by Sony to a very specific specification and are not an off the shelf product or equivalent to their 2kWh units. The modules as I mentioned in my reply to Ronald have additional capacity built into them to fulfill the 10,000 cycle or 10 year warranty period without degradation of the 2kWh deliverable energy. Thanks, James. I see that you are cycling the battery more than once a day. That is of interest to me, but I was skeptical of the cycle life, and if the full discharge rate would be maintained. May I ask again if Sonnen have cycle life data ? Yes, we have a great volume of cycle life data. We have our own battery laboratory to test all batteries commercially available as well as check the modules being made for us. In addition, as all our systems are permanently connected online to our servers where we monitor a vast array of values and details of our batteries performance and working conditions. This volume of information and resource enables us to offer the warranty that we do and make the claims that we do as everything offered is based on knowledge and experience. Thanks again, but I was asking if Sonnen would supply the cycle life data. The warranty does not offer capacity retention, nor measurement conditions. We can supply customers or retail companies the running cycle count of any installation on request. As every system is unique in terms of energy production, energy consumption and energy management the actual daily cycle count will always be unique. As I have previously mention the warranty states that ‘The warranty period ends on whichever date occurs firs: (a) 10 years from the date of commencement of the warranty period; or (b) 10,000 complete recharge cycles of the sonnenBatterie.’ So if the battery is a 6kW unit then a complete recharge cycle would be that amount. From a consumers perspective if you look at the Apple business model it is essentially a one stop shop [bricks and clicks], hardware, software and in the cloud services a complete package. 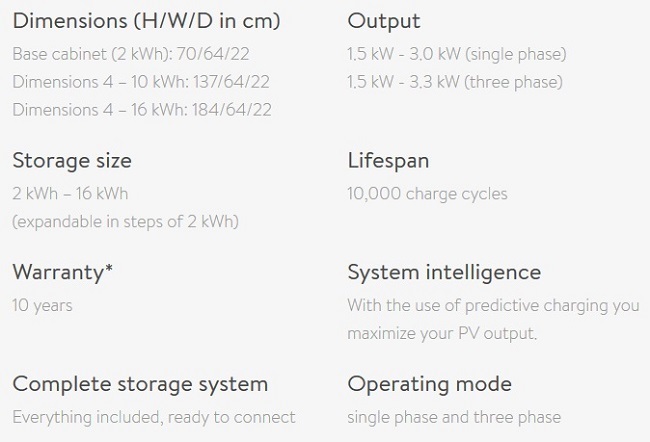 Enphase a PV + Storage supplier appears to have adopted the same business model which also includes hardware, software and cloud service with the exception of the solar panels a complete package. We recent had an issue with an Apple computer which was repaired under warranty without any debate as to who was responsible for what when where or why. From a consumers point of view this type of relationship between product and who is responsible for the service should not be under estimated in as much as you are dealing with the manufacturer who would be required to assume total responsibility for a system. From a personal experience in a commercial setting it is difficult and some times impossible to bring parties together to find solutions to problems where more than one suppler is involved in providing components that make up a total system. I saw a million dollar computerised server farm installation abandoned because of an intermittent fault with a $150.00 network card which was not identified by the computer supplier which resulted in an intermittently interrupted on line real time production of cash transactions. If you want to be abused stand between the expectations of an on demand consumer and their money. So whats this story all about well for most it is not the technical machinations rather an absolute Guarantee of Performance. Would I seek to integrate any storage system with the Enphase PV system I have on the roof well the short answer to than is NO. I’m not exactly sure of the point you are making. Having an all-in-one package of renewable production, energy storage and energy management isn’t possible from any manufacturer currently. Yes, as you have said you could go down the Enphase route but that’s basically the same as our hybrid product, the only difference being that instead of bringing your DC PV connections into multiple inverters on the roof you are doing so in one unit down on the ground out of the sun. Having said that from a retro fit perspective you have no choice than to install multiple brands, unless you advise consumers to rip of all that they currently have and replace everything supplied from one manufacturer? From a warranty perspective, I agree have as few manufacturers involved as possible as its often incredibly hard to find the week point of a system, especially one including storage. Identifying the weak link in the chain can be a nightmare. A simple isolator or crimped cable connection can bring down systems of any size. With Sonnen for the AC coupled upgrade product everything is in the box and our warranty covers all of it. We even supply pre-terminated AC cable and pre-wired meters to help minimize the risk of installer error and to offer as much peace of mind to the system owner as possible. Would love to see a collaborative (you and sonnen) update to this in 6 months. Will sonnen bundle a solar system and stand behind the whole kit and kaboodle? Must be a german supplier with whom sonnen could work. Cycling twice a day seems appropriate to me(but without any evidence) if you are on time of day tolling. Charge to full on offpeak and discharge till solar kicks in fully which then charges during the day and you discharge in the evening until off peak rate kicks in fully. Solar system is not sized for export to grid, it is sized to 90-110% reliability of fully running house and charging battery to full. Battery is sized to running from full as solar falls away in late afternoon until offpeak kicks in or from full of off peak electricity to solar kicking in enough to run house whichever is the most usage. Given one end of day will likely require less electricity than the other 1.8 cycles per day sounds exactly right, but very finely tuned. I’d guess it uses shoulder price power in the afternoons whenever you have guests stay and you eat in and maybe in winter if heaters go on given lower solar hours. Interesting comments, our main market is currently the retro fit, i.e. people who already have solar and now want to add storage. We have a series of retail clients packaging up system for new installations that will include complete and comprehensive bundles. Our systems are designed to harvest excess solar production for the use at night. In addition you will often find that the solar production window is not the smooth curve that people tell you it is. Production fluctuates much more than most people realize due to cloud cover and other climate variations. In these day time periods although our batteries may not be fully charged if any load comes on our system will start to discharge to support the load. Our intelligent self-learning algorithm can allow for the daily trends of the consumer as well as the expectation of the PV production factoring in the time of year and weather data. In addition, load behavior prediction allows for the day of the week so that the system knows what would be the best energy option at any given time. What you see then is that often even within the solar window our batteries could have cycled as well as had the opportunity to recharge allowing them the power to support loads throughout the night. Our batteries charge very quickly, the full 16kW bank can charge 90% in 4.5hrs, the 8kW in 3hrs, the 4kW in 1.5hrs so as you see there is ample opportunity to cycle multiple times p/day. Tariff optimization is possible but our real intention is to charge from renewable’s. I am planning to install a PV system with building of our residence in Sydney. I want to install a 10-11kw 3 phase system, hopefully allowing me to be more or less independent from the grid. With passiv house technology I expect a daily usage of not much more than 50kwh per day for a 5 person household. I was considering 2 sonnen 16kwh units for storage – from what I read before a hybrid system would be what I need for off grid functionality and UPS if required. Just wondering if that would be about right from the planning. The second question I have, is if you area aware that Australian standards is considering to ban Lithium ion batteries from in house installation and if that would apply to the sonnen battery as well if decided – obviously having a big impact on the planning situation. With regards to the proposed new Australian Battery Standard lets wait and see what the draft actually contains, and then after the submission stage what actually gets published. The worst scenario would be that all installations need to be outside, if so then we will create a certified enclosure. However, there have been some recent safety reports published and battery installation standards in Europe published which show that a lot of concerns are without substance and offer international precedents for installation practices, so let see what finally get decided upon. A 2 second changeover for power failure is TOTALLY unacceptable. Even my $500 Chinese inverter is 20 milliseconds , and it works as stated ! Also a 3kw inverter output is not enough. And although LIPO batteries are a safer option than the Tesla chemistry i would NEVER install one of these indoors. The Protect1300 changeover is actually around half a second, it’s not trying to be a UPS so is not functioning as one and doesn’t claim to be, the design of the product is to offer backup power for as long as possible, i.e. without any PV contribution we can supply backup power for over 12 hrs from a single system. The single phase sonnen system offers 2.5kW continuous output and the 3-ph 3.3kW, the product is designed to maximize self-consumption so works quite differently to others. The multiple daily battery cycles covered by the warranty as well as the system’s ability to manage and control loads really helps to offer fantastic customer benefit, this is evident in the 25,000+ systems already installed. 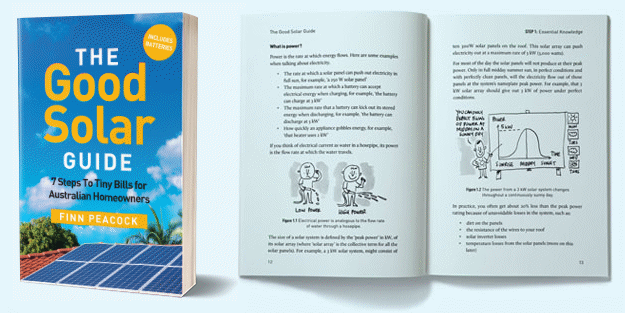 The product you refer to having 13.5kWh capacity is incorrect as capacity is measured in kW, kWh is the amount of energy that can be delivered in one hour and kWh’s is typically the amount of energy delivered in a day. I suggest you check the warranty to see how may kWh’s can be delivered in a day, the sonnen system allows for 2.7cycles so a 10kW capacity system is warranted for 27kWh’s, we have system operating at 2.1 to 2.2kWh’s in Australia already. The battery chemistry of Sonnen is LiFePO4, much safe than LIPO. The Sonnen system also doesn’t require any active cooling due to the design of the system, we don’t typically install our products in the temperature ranges you describe as these would be detrimental to the associated electronics regardless of battery chemistry. We have systems over in WA where the ambient temperature can exceed 44degrees, for these systems we simply offer an enclosure to reduce temperature issues, they also work for cooler location as well. Feel free to contact us directly if you like so we can help you get a better understanding of the Sonnen specifications as well as the benefits offered by the solution. I hate to say it but you are incorrect. Capacity (the amount of energy stored) IS measured in kWh. Power, not capacity, is measured in kW ( ie the engine in my car can produce 100 horsepower or 75kW and yes, not very powerful). Similarly my pool pump is rated at 800W or .8kW and to run it for 5 hours will use (.8*5=4) 4kWh of energy and so 50% discharge a 8kWh battery if there was no other input. is just bizzare. I may have some old physics text books I could send you if you pay the postage! The point I am making is that for an end user when trying to compare systems looking purely at battery capacity in the term of kWh can as is very misleading. For instance, a 10kW or 10kWh battery capacity implies that it can discharge all 10kW’s in 1hr, however this is restricted by the associated power electronics. If the system has a 5kW capacity inverter then it will discharge in 2hrs, if a 2.5kW inverter then 4hrs etc. So, when trying to understand storage systems and the difference between products the most important factors are the capacity, the inverter rating and the warranty. So, our 10kW capacity battery in a single-phase system for instance can supply power at a rate of 2.5kW’s, it is warrantied to be able to cycle 2.7 times per day so therefore can deliver to an end user a maximum 27kWh’s of energy benfit per day. When comparing systems understanding the actual daily deliverable benefit is what is most important. If you are still monitoring this blog could you help me. I am interested in Sonnen Flat and battery installation. I have put my name and number down on Sonnen’s website but no one has contacted me. I would be interested to know a ball park figure for the installation of a 10Kw battery. Searching the web I can only find second hand estimates ranging from $12000 to $21000. Since I live in country NSW it is hard to get relevant information. I was really interested in this battery. Another solar website last year said they were around $13400 for the Eco 8.8 installed. The Sonnen website now says $15999. I thought battery prices were supposed to come down over a year not go up. I have used the contact email for Sonnen but never received a reply As you can see I tried through this thread to get a reply in July but still no action. thanks to Ron and James for throwing these questions, statements and details around. It takes a gutsy person to strike up a discussion where you just know other people will be gleefully trying to hammer you down with detail, and yes, they may be well informed and indeed correct in showing up mistakes…….. If no-one strikes up the initial conversation or no-one dares to review a product then manufacturers are not kept on their toes in producing better products. And yes I do have a Sonnen storage system installed at my house, along with 23 x 280w solar panels on the roof. With Sonnen’s app I can already see the savings…..not saying I am never going to pay a cent to an energy retailer for electricity supply ever again, but, my family is now much more aware of our electricity consuming patterns and consequently enjoy the challenge of reducing our dependence on the conventional grid electricity supply. I would be interested to find out how big the battery storage you selected is and the price you paid. I am interested in Sonnen but the quote I got last year was too expensive. 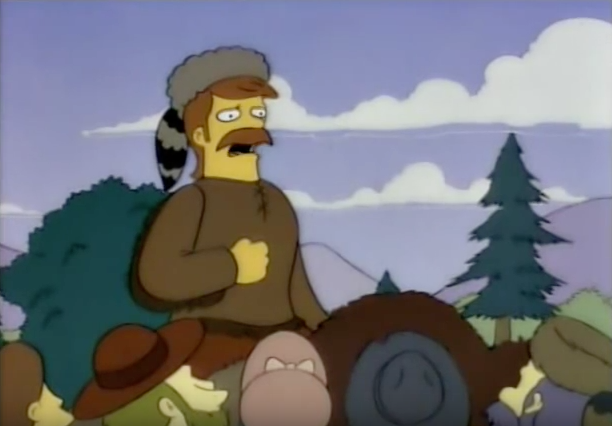 Perfectly cromulent use of your Simpsons reference. Massive respect. Great article – I’d be very interested in an update too.